​Like seriously we’ve had alot of nostalgia already! The Nokia comeback in 2017 has always been what every tech enthusiasts anticipated, but what we probably didn’t figure out was that they’re planning to relaunch the “Old” Nokia 3310. Well they already did, and the device is on sell as of writing this article. In a modern classic reimagined, the new Nokia 3310 takes the iconic rounded form silhouette of the original with long lasting battery and the legendary snake game, you’d agree with me that the device brings a classic fresh look. 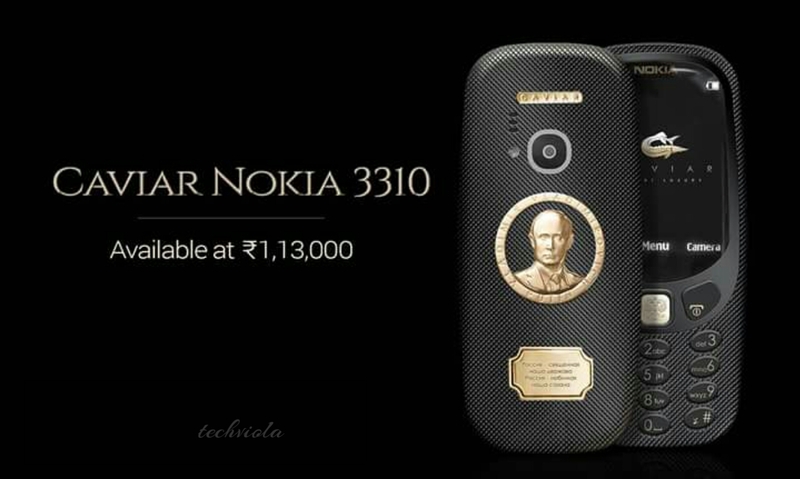 While the rebirth of the old Nokia 3310 is still hot, Russian luxury phone makers by name Caviar has launched a special or rather custom version of the new Nokia 3310 and it’s called the “Supremo Putin”. This edition is made of gold and titanium and retails for a jaw-dropping of $1,700. Hehe! The price is completely a blatant rip-off considering that the average Nokia 3310 gets sold at $49. But if perhaps you fancy something more natural or simplified even retro tech, then you can stomach the price tag and probably get one for yourself. 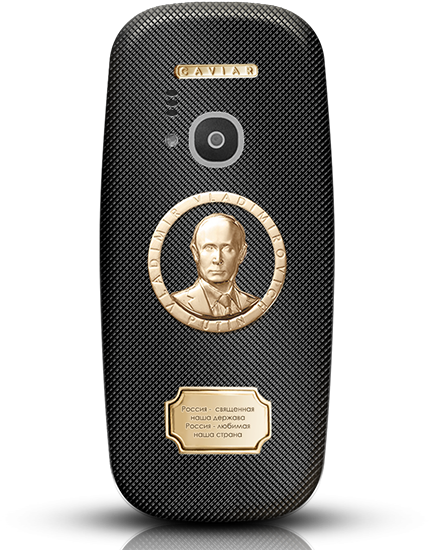 According to the Caviar Company, the iconic Nokia 3310 Supremo Putin edition was design with gold, giving it a luxury, style and character of the Russian. 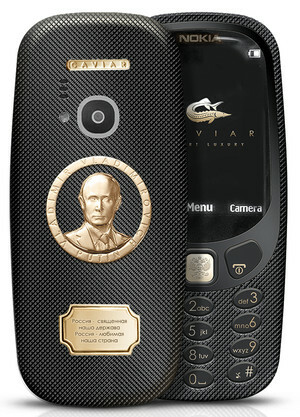 The device was inspired by the most popular person in Russia “President Vladimir Putin” and the design of the Nokia 3310 consists of a volume of the President of the bas-relief, plaques with a quote from the National Anthem and a thin mesh-like engraving, applied to the body by hand. The device brings a Gold titanium case plated .999 for Double Electroplated technology. 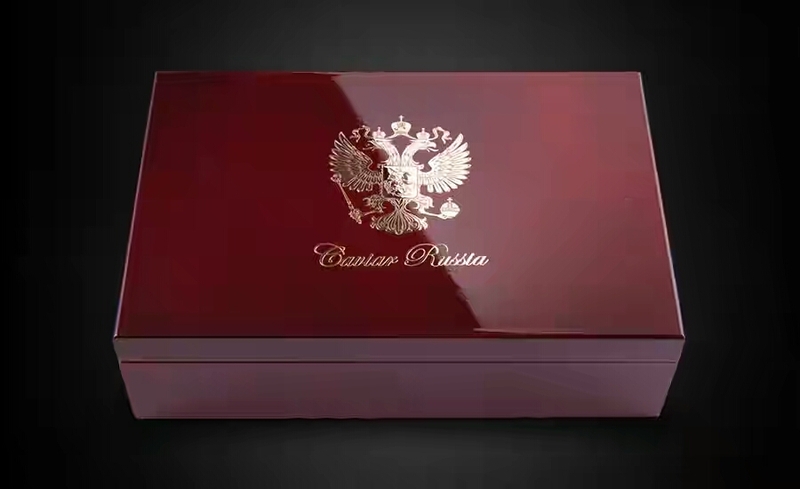 On top of the central control button is decorated with a miniature image of the coat of arms of the Russian Federation. Luxury are probably made for those who can afford it without bleeding, a glimpse at the custom Nokia 3310 can actually detail to you that the smartphone is stunning and Nokia will be proud of this creation. Overall the Caviar company have created the perfect phone rugged, stylish, not cheap, able to hold a charge long and loud calls. Sometimes it’s really all you need. Meanwhile we’ve spotted one of the “Supremo Putin” on sell and you probably might want to check it out.